Claire Morales – All My Tuxes Live In Texas. Claire Morales is a good friend and very talented musician. Once I saw she’d created new website for her band, clairemoralesmusic.com, I wanted to do another shoot with her so she’d have even cooler photos for her cool new site. We brainstormed on ideas, and Claire has recently been crushing on Marlene Dietrich, which was convenient because I had already done a Marlene Dietrich inspired photoshoot once before with Amanda Reyes. Whereas the last one focused on more of an Old Hollywood vibe, Claire is all about those 60’s “Valley of the Dolls” vibes, so for her shoot we made it simpler, brighter, and pinker while still having a film-like texture. Finding the tuxedo was the difficult part. We spent a day traveling to all the best thrift stores in the Metroplex; Thrift Town, Berry Good Buys, Dolly Python’s, etc. But funnily enough we ended up finding the perfect tuxedo just two blocks away from where we started, at Circa 77 in Denton. 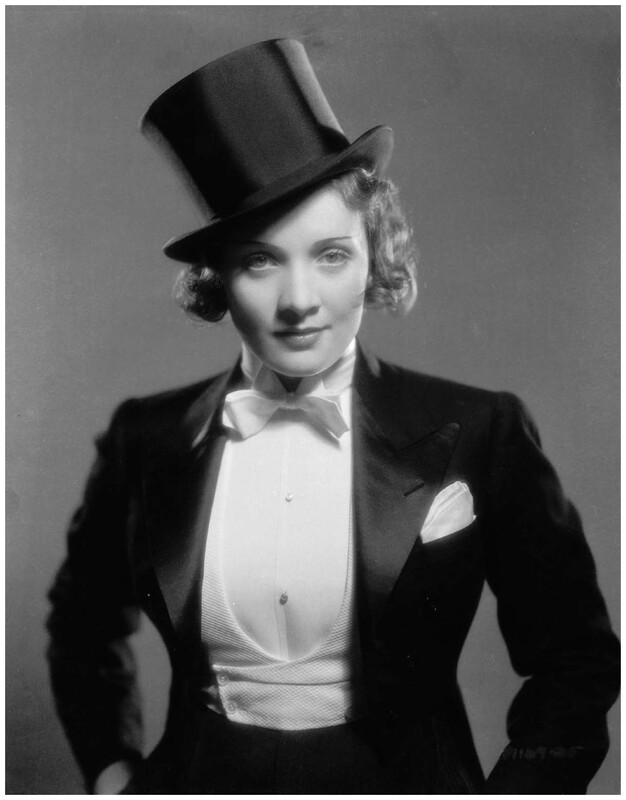 It was a boy’s tuxedo, complete with a silk shawl collar and tails. Claire provided the gold wingtip shoes and silver cummerbund, I provided the bow tie and fake pink chrysanthemum. We set up a studio in my living room, blasted some David Bowie “Station to Station” and got to shooting. Now once more, in black & white! P.S. Brilliant title courtesy of Claire Morales & Daniel Markham.